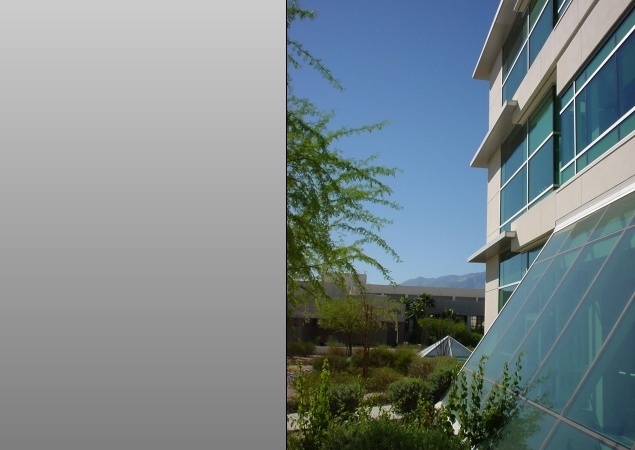 A strong and separate entrance was established to create an identity that was distinct from the existing Medical Plaza. To maintain a visual connection with the existing context, we utilized the same multi-colored slate on selected exterior walls. The entrance lobby is clad in high performance translucent glass, emphasizing the contrast between solid massing and transparency, while increasing natural light within the interior. 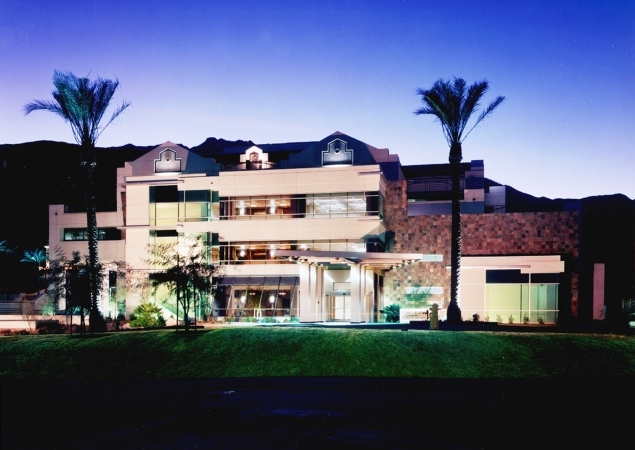 Interior colors were selected for their ability to create a soothing environment, and local stones and marbles were utilized to integrate the building with the desert surroundings. 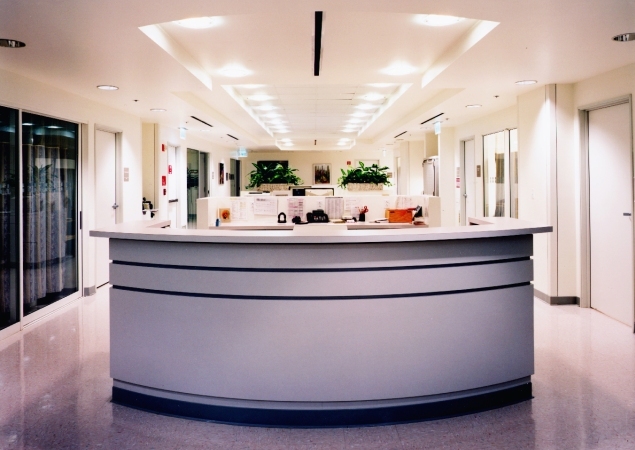 The main lobby and reception area were designed as a central hub to provide ease of way finding with direct links to parking, administration, and breast center. Vaulted ceilings and clerestory windows create a bright, open environment. 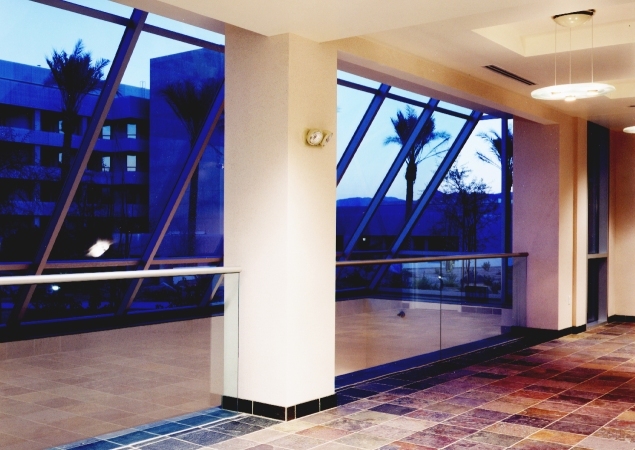 Custom light fixtures were designed to enhance architectural shapes while providing a warm atmosphere.